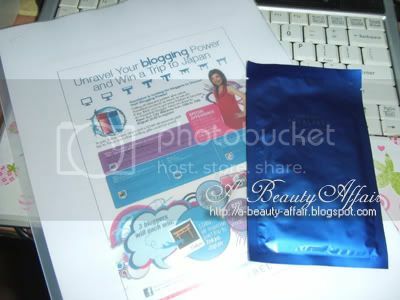 Yes, yours truly is participating in Aqualabel Bloggers' challenge!! I am really excited about this and will share with you more on the upcoming events. I got a mask as a freebie too :) Can't wait to try it out too. Anyway, just to share about my favorite product in the Aqualabel range. Honestly-speaking, it was pretty tough picking out a favorite among the lot. However, the Aqua Enhancer WT; a true star performer, was my final choice! This is the NUMBER ONE choice in my top 5 picks for Aqualabel blog entry and surely, it is no surprise as to why it was selected as my TOP favorite product for this contest's entry. 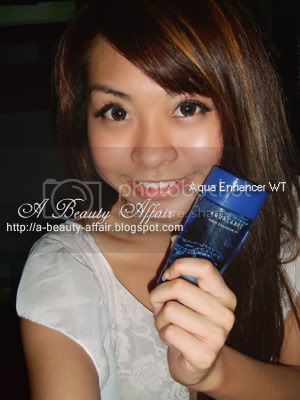 Seriously, what is there not to love about the Aqua Enhancer WT? 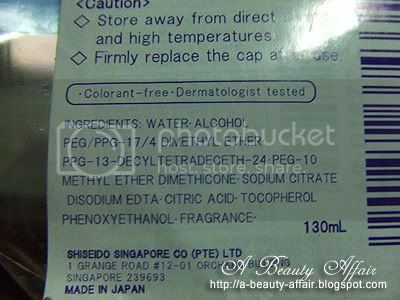 A unique product by the geniuses at Shiseido, and also available at an affordable price of S$26.50. This is to be used last in your daily skincare regime, AFTER your usual cleanse, soften and moisturize. This additional step will not only help the skincare which you have applied to be effectively absorbed and retained in your skin but also seals your skin with MOISTURE! 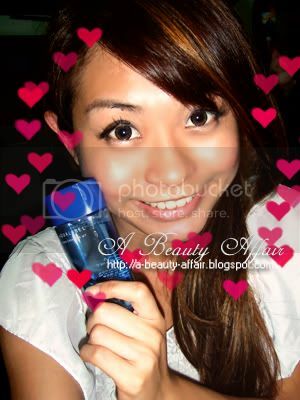 It was LOVE AT FIRST TRIAL for me & my Aqua Enhancer WT. I felt like I have just done a mask after applying this enhancer. Honestly, I was amazed at how supple and "QQ" my skin felt. 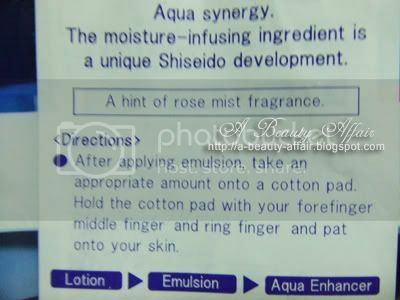 Though it is recommended to be used after the Aqualabel lotion & emulsion, it isn't really necessary to do so. IMO, it's unique selling point is that you could use it with your own toner & moisturizer products that are from other brands. Now, how cool is that!? So how do we use this wonderful Aqua Enhancer WT? 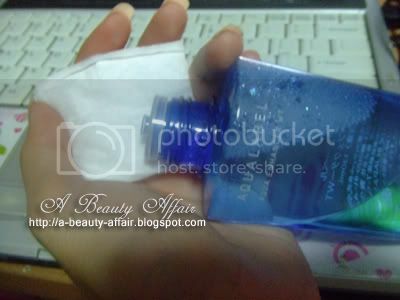 Just apply a few drops onto a cotton pad before patting it all over your face after you have applied your moisturizer. The key to moisturized skin is really simple, isn't it?